The hilarious and barely credible (but very true) reminiscences of a retired deputy headmaster. Illustrated with 30 cartoons. Over his years working in state and public schools across Britain, David Franklin kept a diary of events. He has now gone through his diaries to pull out the funniest, most amazing and downright unbelievable incidents from his long career. 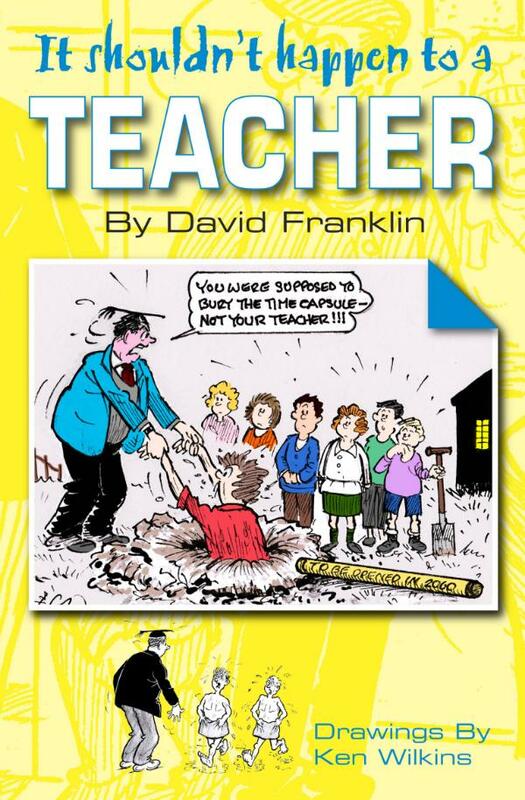 Written in a highly engaging style and with a cynical irony born of decades of dealing with children, parents and fellow teachers, David Franklin has produced a book at once hilarious, charming and full of pathos. Whether he is describing school assemblies, sports days, school trips, exams or routine lessons, Franklin manages to inject a level of affection for his chosen career and for the pupils who blighted it. This hugely amusing book will bring a smile to the face of anyone who remembers their school days with affection and will make an ideal stocking filler for any parent or grand parent. David Franklin worked as a teacher for more than 30 years, ending his career in education as a deputy headmaster. He taught in both the state sector and in public schools. He has written extensively for magazines and for journals. David Franklin is a pseudonym and all names have been changed to protect the innocent.